BEAUTIFUL HOME IN THE MEADOWS! 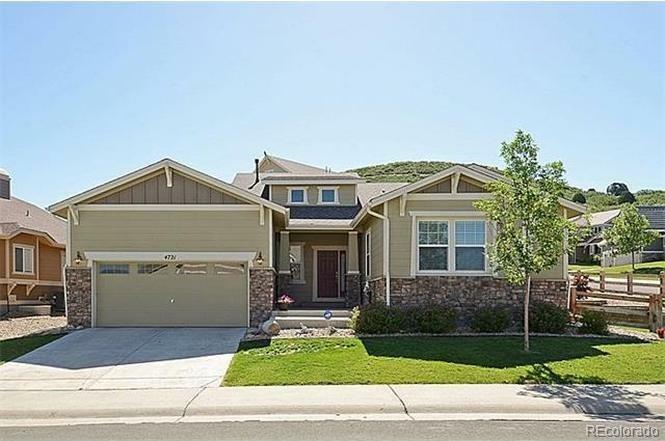 Rare ranch style home on a corner lot in the highly desired Briscoe Ranch neighborhood in The Meadows in Castle Rock! 3 bedrooms, 3 bathrooms. Open floor plan, vaulted ceilings. Family room with beautiful stone accented fireplace flows into upgraded kitchen, featuring granite counters, island, 42" cabinets, double oven, eating area, extended counters w/ workspace, tons of windows! 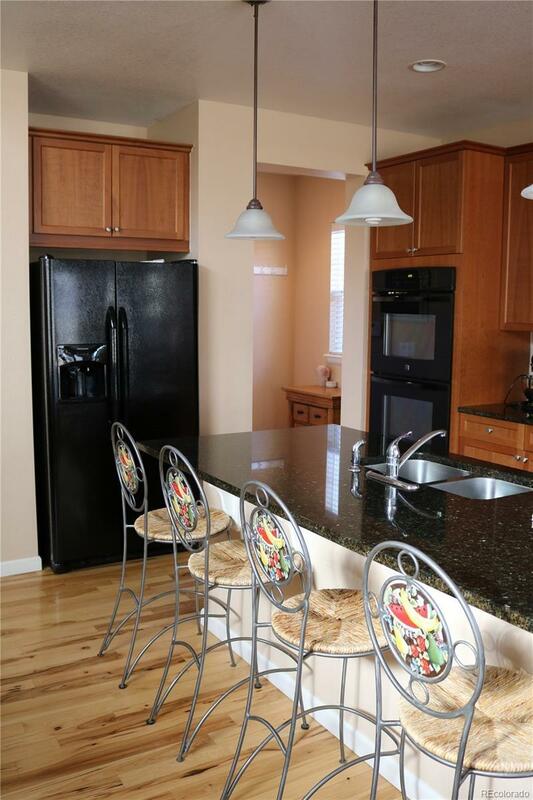 Butler pantry, mud room, formal dining room, huge laundry room. Wood floors. Over 4,700 square feet. Master suite on main floor -- 5 piece bath, vanity, tile floors, tons of cabinet space, and huge walk-in closet. Master bedroom opens to covered patio in backyard. Trayed ceiling. Huge partially finished basement with media/rec room and lots of storage space. Mountain views out front. 3 car tandem garage, professionally landscaped fenced yard. Inviting front entry leaves a wonderful first impression! Central AC. Douglas County School District. Backs to cul de sac. Offered by Zakhem Real Estate Group. © 2019 Information and Real Estate Services, LLC. IDX information is provided exclusively for consumers' personal, non-commercial use and may not be used for any purpose other than to identify prospective properties consumers may be interested in purchasing. Information is deemed reliable but is not guaranteed accurate by the MLS or Keller Williams Advantage Realty LLC. Data last updated: 2019-04-26T10:38:02.283.